Daenerys Targaryen’s war against Cersei Lannister isn’t going well so far in Season 7 of Game of Thrones, but the secret to her victory could lie in the wisdom of a dead king: Robert Baratheon. 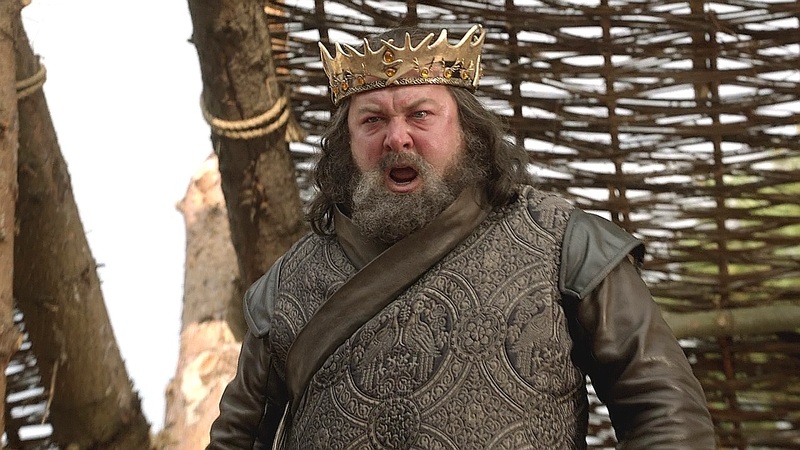 Fans of Game of Thrones were only privy to a version of Robert Baratheon who was obsessed with wine and prostitutes, but in his prime, the former king of Westeros was a battle-hardened warrior and brilliant strategist. He was so brilliant, in fact, that he constructed Daenerys’s winning battle strategy six seasons before she needed it, way back in Season 1. Redditor self.gameofthrones noted how in Season 1 Episode 5, Cersei and Robert Baratheon discussed the possibility of a foreign invasion with a Targaryen at the head of a Dothraki horde. The scene took place shortly after Dany’s marriage to Khal Drogo, and Robert was afraid that they wouldn’t be able to fend off such an invasion. At the time, he was more worried about Viserys than he was Daenerys. When Cersei points out that they outnumber the Dothraki troops, Robert dramatically points out that one real army united in a singular purpose is more effective than five times that many soldiers fighting halfheartedly. This is a sentiment recently echoed by Tyrion Lannister when he narrated the Unsullied as they took Casterly Rock. Daenerys could take King’s Landing right now in Season 7 if she really wanted to, but as she and Jon have pointed out, doing so would require the use of her dragons, and it would cost the lives of many innocent people. These are the people she’ll need the support of if she does become queen of Westeros. That’s why she initially hesitated to use the Unsullied or the Dothraki to invade Westeros, feeding into the kind of xenophobia that led the likes of Randyll Tarly to betray House Tyrell. But if the latest preview for Episode 4 is any indication, then Daenerys is getting a bit desperate in the war. With Euron foiling her plans at every turn, Daenerys might have no choice but to unleash her dragons and that Dothraki horde after all. Game of Thrones Season 7 continues with “The Spoils of War” on HBO this Sunday at 9 p.m. Eastern.